"Commercialisation of research, the translation of ideas into dollars, is an imperative with great opportunities in Australia. Foursight is assisting this process at many levels." Graham Mitchell is a veterinary graduate and University gold medallist of the University of Sydney. At The Walter and Eliza Hall Institute of Medical Research (WEHI) he made discoveries in immunology and obtained a PhD in 1969. After post-doctoral experience in California (Stanford), England (National Institute for Medical Research, Mill Hill) and Switzerland (Basel Institute for Immunology) he returned to Australia in 1973 and established a new program on the immunology of parasitism at WEHI. This program became a major component of the global effort to develop new tools for the control of parasitic diseases, and of the ‘biotechnology revolution’. Mitchell was instrumental in establishing a long term program on the disease schistosomiasis in the Philippines. In 1990 Mitchell was appointed Director of the prestigious Royal Melbourne Zoological Gardens where he introduced a number of new initiatives in local and regional conservation. In 1993 he returned to biomedical research as Director of Research in the R&D Division of CSL Limited, Australia’s largest developer, manufacturer and marketer of ethical human biologicals and veterinary products. He was responsible for identifying and assessing new opportunities for CSL, nurturing external research collaborations, and the research component of new product development including vaccines. Mitchell is recognised as one of Australia’s leading biological scientists. His expertise extends over a wide range of science and technology. He has detailed knowledge of the academia-industry interface, has worked in many overseas countries and been involved with tropical disease programs of the World Health Organisation for many years. He is an author of more that 350 publications, has received numerous awards for scientific achievements and, in 1993, was appointed an Officer in the Order of Australia for services to science. Mitchell has been an advisor on innovation to the Victorian, Commonwealth, Tasmanian and Northern Territory Governments. In another government role the Principals of Foursight, including Mitchell, jointly act as Chief Scientist for the Victorian Department of Economic Development, Jobs, Transport and Resources (DEDJTR) and Environment, Land, Water and Planning (DELWP). He is a non-executive director of Antisense Therapeutics Limited, Avipep Pty Ltd and The Walter and Eliza Hall Institute of Medical Research (WEHI). 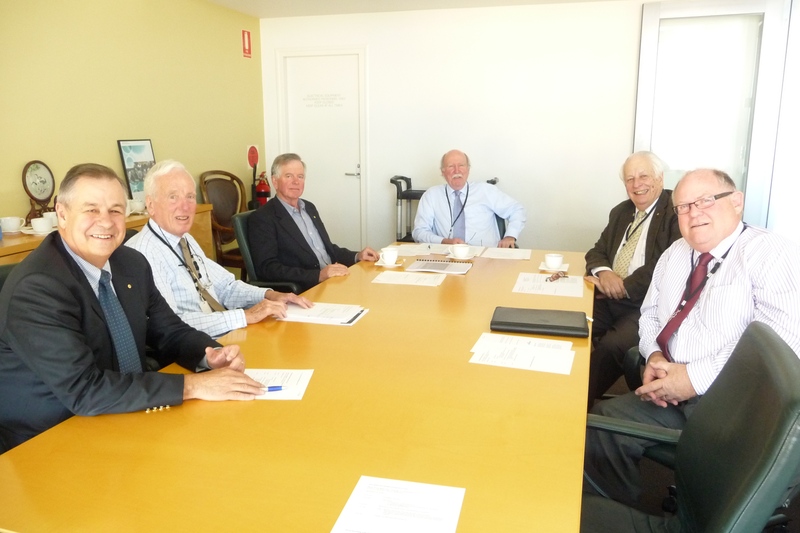 With Nossal, Penington and Stocker he has been a Principal of Foursight, an advisory service in science, technology, innovation and commercialisation, since 1996 with new Principals, Mike Taylor and Peter Turvey, joining in 2012. "Australia’s track record in fundamental medical research is unparalled. The challenge now is to make these discoveries into practical and commercially viable realities." Gustav Nossal was born in Bad Ischl, Austria, in 1931, and came to Australia with his family in 1939. He studied Medicine at the University of Sydney and, after residency at Royal Prince Alfred Hospital, took his Ph.D. at The Walter and Eliza Hall Institute of Medical Research in Melbourne. 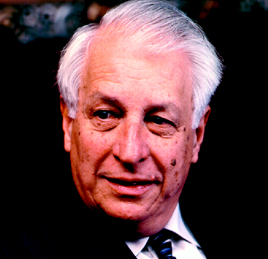 Apart from two years as Assistant Professor of Genetics at Stanford University, one year at the Pasteur Institute in Paris and one year as a Special Consultant to the World Health Organisation, all Nossal’s research career has been at the Hall Institute, of which he served as Director (1965-1996). Nossal was also Professor of Medical Biology at The University of Melbourne. Nossal’s research is in fundamental immunology and he has written seven books and 550 scientific articles in this and related fields. Nossal has been President (1986-1989) of the 30,000 member world body of immunology, the International Union of Immunological Societies; President of the Australian Academy of Science (1994-1998); a member of the Prime Minister’s Science, Engineering and Innovation Council (1989-1998); and Chairman of the Victorian Health Promotion Foundation (1987-1996). He has been Chairman of the committee overseeing WHO’s Vaccines and Biologicals Programme (1993-2002) and Chairman of the Strategic Advisory Council of the Bill and Melinda Gates Children’s Vaccine Program (1998-2003). 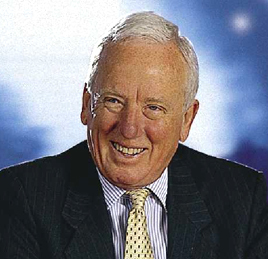 Nossal was knighted in 1977, made a Companion of the Order of Australia in 1989 and appointed Australian of the Year in 2000. He has received numerous other honours from 11 countries. Amongst the most significant are Fellow of The Royal Society of London, Foreign Associate of the US National Academy of Sciences, Member of the Academie des Sciences France, the Robert Koch Gold Medal, the Albert Einstein World Award of Science, the Emil von Behring Prize, the Rabbi Shai Shacknai Prize and over 130 named lectureships in ten countries. Nossal is also involved in charitable work as former Chairman of The Felton Bequests’ Committee; in the business community as a Principal of Foursight Associates Pty Ltd; in aboriginal affairs as former Deputy Chairman of the Council for Aboriginal Reconciliation; and in international advancement of Australia as former Chairman of The Global Foundation’s Advisory Council. Since 2010, Nossal has been Chairman of the Gates Foundation's Discovery Expert Group, charged with developing longer-term research strategies. Given the Foundation's emphasis on communicable diseases, he keeps in close touch with advances in this field. "This country has much to gain from the constructive development of its research base. We are assisting researchers, investors and governments in this challenging field." Professor Penington was an undergraduate of the University of Melbourne (and Queens in 1950). He went to Oxford on a scholarship in 1950, graduating there in Medicine. He was a medical specialist, teacher and researcher in London. He returned to Melbourne in 1968 and was Professor of Medicine at the University of Melbourne from 1970 to ’87. He was Dean of the Faculty of Medicine for eight years from 1978 and Vice-Chancellor of the University for eight years from 1988. 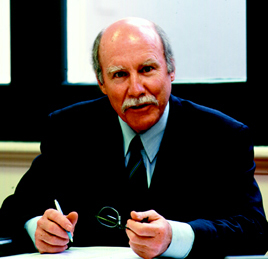 Professor Penington was Chairman of the National AIDS Task Force (1983-87). From 1994 to 2001 he was President of Museum Victoria. He chaired the Victorian Premier’s Drug Advisory Council in 1995-96, a Committee on Drugs for Capital City Lord Mayors in 1997-1999 and the Drug Policy Expert Committee of the Victorian Government in 1999-2000. He has been a Fellow of Queens since the 1980s. Professor Penington was Chairman of the Board of Cochlear Ltd from 1995 to 2002. 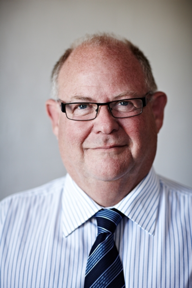 He has been Chairman of the Bio21 Cluster from 2003 and Chairman of Bionic Vision Australia until 2013. Autobiography “Making Waves: Medicine, Public Health, Universities and Beyond” published by Melbourne University Press July 2010. "At Foursight we are keen to see the creativity of Australian biomedical science matched with the birth of new, vibrant companies. This brings products to world markets and yields high returns to shareholders. We get our greatest buzz from being present at the moment of birth and assisting as these youngsters grow and thrive!" John Stocker has a distinguished career in pharmaceutical research and extensive experience in management of research and development and in its commercialisation. Stocker is a Director of Telstra and a Board member of Wine Victoria. From 1976 to 1978 Stocker was a Member of the Basel Institute for Immunology in Switzerland. He joined the Swiss pharmaceutical company Hoffmann-LaRoche and Co in its Basel headquarters in 1979. His first position in the company’s Central Research Unit involved working on monoclonal antibodies and leading an international task force into the scientific and commercial opportunities offered by biotechnology-based vaccines. In 1986 he was appointed the company’s Director of Pharmaceutical Research and joined Hoffmann-LaRoche and Co’s International Research Board. Stocker returned to Australia in 1987 to become the founding Managing Director of AMRAD Corporation Ltd, a company established to commercialise Australian biomedical discoveries. He was Chief Executive of CSIRO from 1990-1995 – the first Chief Executive to be appointed from outside the Organisation. He later returned to CSIRO as Chairman from 2007-2010. He was also Chairman of Sigma Pharmaceuticals from 2005 – 2010. 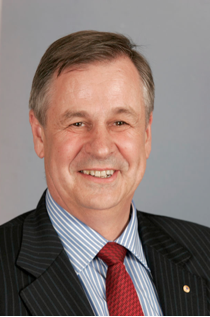 John Stocker was the Australian Government’s Chief Scientist and from December 1996 to April 1999 served as Chairman of the Australian Science and Technology Council (ASTEC). He was a foundation member of the Prime Minister’s Science, Engineering and Innovation Council and has been a member of the Australian Research Council and of the Australia China Council. He was Chairman of the Grape and Wine Research and Development Corporation from 1996-2003 and a director of Wine Victoria 2013-2015. He served as a director of the UK company, Cambridge Antibody Technology Group plc from 1996 to 2006. He was a member of the Board of The Walter and Eliza Hall Institute for Medical Research from 2000 to 2006. He is a former external member of the Executive Management Committee of the Australian Department of Agriculture Fisheries and Forestry. John Stocker is presently Chairman of the Science and Engineering Advisory Committee, Environment Protection Authority of Victoria. The Australian newspaper named him ‘Australian of the Year’ in February 1992. He was appointed an Officer in the Order of Australia in June 1999 and was awarded the Centenary Medal in 2001. He is married and has two daughters. He plays tennis and has interests in viticulture and Australian native trees. Mike Taylor is currently a Principal of Foursight Associates, the part time Chair of the Geoffrey Gardiner Dairy Foundation, and Director of the Public Transport Development Authority, Country Fire Authority, Bush Fire Cooperative Research Centre, Director Public Transport Development Authority, Crawford Fund for International Agricultural Research and Melbourne University - Melbourne Business School. Mike was formerly the Secretary to Australia’s Department of Infrastructure, Transport and Regional Services – Australia (2004-09), and Secretary, Department of Agriculture, Fisheries & Forestry – Australia (2000-04). Prior to that, he was responsible for the leadership and management of three Departments for the Government of Victoria (1992-2000) (Agriculture, Energy and Minerals, and Natural Resources and Environment), and was Chairman of Murray Darling Basin Authority (2009-11). As a result he has been extensively involved in preparing and negotiating International, Commonwealth, State and industry agreements and legislation, and in advising the Governments and Commonwealth / State Ministerial Councils on a wide range of transport, security, regional development, water, energy, minerals, agricultural, food, forestry, fisheries, environmental and sustainable natural resource management issues. Mike’s experience in management, marketing, economic policy and planning has resulted in appointments to numerous boards of external organisations. He has also participated in and chaired a wide range of international negotiations, meetings, delegations, projects, policy and trade development work in Asia, North America and Europe. Mr Taylor speaks regularly at a wide range of industry and management conferences and forums. 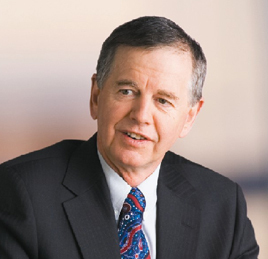 Peter Turvey is the former Executive Vice President Licensing and Company Secretary of global specialty biopharmaceutical company CSL Limited having retired in 2011. He is currently a Principal of Foursight Associates Pty Ltd, a director of the industry organisation AusBiotech Limited and a non-Executive Director of Starpharma Holdings Limited. After completing an Arts/Law degree at the Australian National University, he joined Biotechnology Australia, then Australia's largest biotechnology company, as Manager of Intellectual Property and Company Secretary. He joined CSL in 1992 as its first in-house Corporate Counsel and was appointed Company Secretary in 1998. He played a key role in the transformation of CSL from a government owned enterprise, through ASX listing in 1994, to a global plasma and biopharmaceutical company. He also had responsibility for the protection and licensing of CSL's intellectual property and for risk management within CSL, which included management of the internal audit function, reporting to the Audit & Risk Management Committee of the Board as well as being the Chairman of the Corporate Risk Management Committee. Among the many licensing deals he was involved with, the most significant included the Gardasil license to Merck & Co., the licensing of the Iscomatrix® adjuvant platform technology to the world’s leading vaccine manufacturers, and establishment of the P.gingivalis vaccine technology collaboration between the CRC for Oral Health and Sanofi-Pasteur. Peter is a non-executive director of Starpharma Holdings Limited and Allied Healthcare Group Limited, both companies listed on the Australian Securities Exchange, non-executive director of Agriculture Victoria Services Pty Ltd and AusBiotech Limited, the Industry Organisation for the Australian Life Science Sector.